Surgery of any kind is an investment that takes a great toll on your body physically and mentally. After your surgery, you may feel like you want to get back to your daily routine right away and it can be difficult to wait for the recover process to be completed. However, trying to rush through the process of healing will only your risk for complications and could bring on undesirable and lasting consequences. Just as you thoughtfully consider and elect a cosmetic surgical procedure, you also want to spend time planning for the recovery immediately after our procedures and for the weeks and months that follow. The more time you spend planning — even for the unlikely — the more peace of mind you can enjoy post-surgery. Focusing on a few key areas in advance can ensure a complication-free recovery. Don’t wait until after your surgery to figure out how to meet all your personal and work commitments. Having a comprehensive plan in place that addresses your responsibilities to your children, spouse, work and social circles will ensure you can relax, regain your energies, heal properly and resume your regular schedule faster. Use your time before surgery to create this plan and share it with all those directly affected by your procedure to ensure that no surprises, miscommunications or misunderstandings arise. Since your plan will invariably include the help of family and close friends who also have their own commitments to consider, ensure you have alternatives in case your help doesn’t come when you need it. Your overall health before a procedure will have a major impact on how well you heal after the procedure. While health is always a priority for many of us, you will reap additional benefit when focusing on personal health right before surgery. Eating right and staying well hydrated before your procedure will prepare your body for the healing that is to come. Your doctor may also provide you with recommendations for diets, supplementation and directions on taking medications to promote a healthy recovery and minimize complications. If you smoke, you will likely be advised to quit for a prescribed amount of time before and after your surgery. Smoking inhibits the body’s natural blood circulation and can interfere with the healing process. You will also want to carefully limit sun exposure during recovery as it can darken scars, making them more visible. Your doctor will have plenty of good information to help you make the most of your recovery time. Keep in mind that your doctor has performed your surgery dozens, if not hundreds, of times and has worked with countless patients. While each patient will respond somewhat differently to the same procedure, your doctor knows how the body typically will respond to each treatment. Never skip follow-up appointments even if you feel fine. Your surgeon will monitor all aspects of your recovery including potential problems that might easily escape your awareness. The advice of your surgeon can have a dramatic impact on your well-being and final look. You have waited long enough. 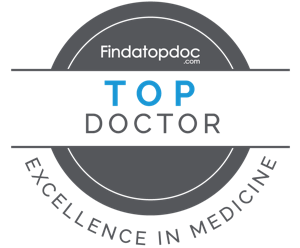 You have diligently done your research, interviewed countless practitioners, scheduled your surgery and dedicated yourself to a stringent pre-operative regime. Now you have completed your surgery and you want your results! While nothing could be more natural than this excitement and anticipation, patience will be a must just a bit longer. Resume your normal activities gradually, taking on only those activities which your body will comfortably allow. Inviting complications by attempting to do more than your body can handle will only extend your recovery time. You and your body have gone through a lot, but be patient — you’re almost there! If you have a robust plan in place before returning home, you should have plenty of downtime to allow your body to heal naturally. During this time, you will need to pay attention and carefully monitor all the areas affected by your surgery. Evaluate the sites of your incisions daily for any irregularities and continue to keep the wound areas clean to prevent infection. You will also want to carefully track your pain levels. Increased pain can lead to increased blood pressure and other conditions adverse to the body’s healing process, so keeping discomfort in check will make your recovery time more pleasant and more successful. You have probably considered a cosmetic surgical procedure for quite some time and had numerous consultations before selecting the doctor right for you and your specific aesthetic needs. Your doctor will also spend a lot of time with you discussing your issues and concerns and planning your procedure. While the surgical aspect of the process may take less than a day, the recovery period can last weeks, even months. You want to maximize the results of your investment and achieve the best look possible. This requires devoting a comparable amount of time to planning your recovery. While you should rely on your doctor as the ultimate resource and expert in preparing for this period, these guidelines should provide a starting point for that conversation. Contact the offices of Dr. Carl N. Williams M.D. to discuss all your aesthetic surgical options at (702) 259-3223.